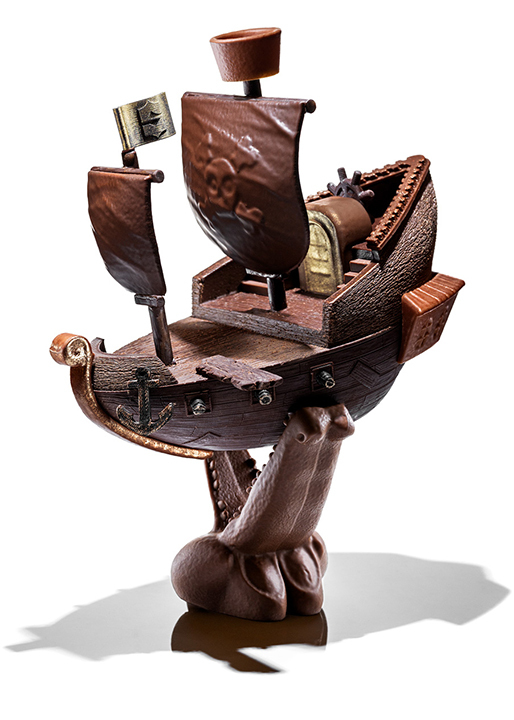 Head Pastry Chef Michaël Bartocetti of Shangri-La Hotel, Paris recently presented his 2019 Easter treat, “Treasure Ahoy!” Inspired by travel and distant horizons, this whimsical chocolate egg with pirate spirit is full of surprises that will delight children and adults alike. The ship, made of sweet and fruity black Caribbean chocolate, is garnished with almond praline paste, fine sea salt, and chips of almond nougatine. The mast, bow, and crow’s nest are made of Jivara chocolate (which adds a touch of sweetness), while the captain’s quarters and crocodile base are garnished with Valencia almond praline paste. And because no pirate ship is complete without treasure, guests will find golden coins hidden inside the ship for their enjoyment. The ‘Treasure Ahoy!’ egg weighs 800 grams (about 1.8 pounds) and measures 26 centimeters (about 10.2 inches) in height. The treat is available to purchase for EUR85 (about USD97) as a limited edition at Shangri-La Hotel, Paris with 24 hours advance notice. 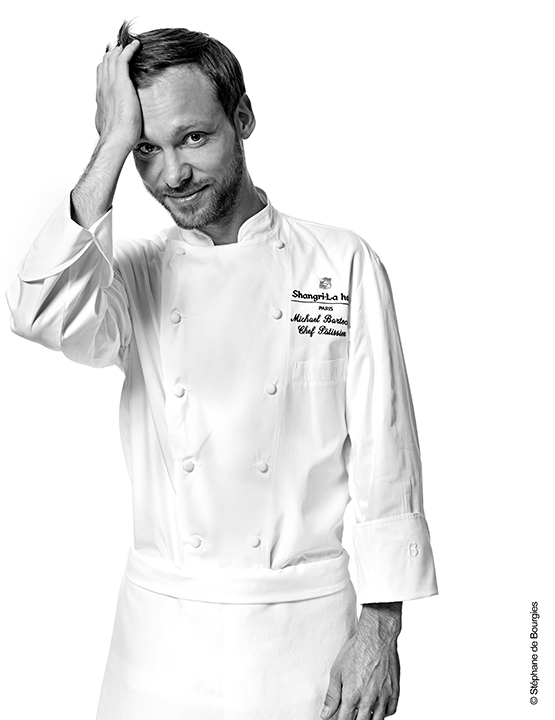 Chef Bartocelli has been with Shangri-La Hotel, Paris since June 2015, supervising all of the sweet offerings under Executive Chef Christophe Moret.